AVL 148 + 160 transformed to mobile points of sale (roll off container). The front of the left one now serves as beer counter in the tramway museum. 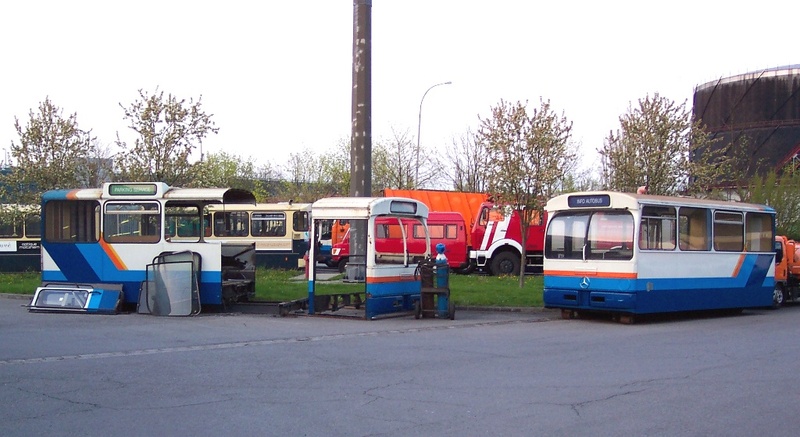 Scrapped in 04.2007, front part serves as beer counter in tram museum.